Arguably one of the greatest acts to come out of the era of British soul jazz in the 1990s, Incognito — the group from the United Kingdom whose repertoire spans more than two decades and 15 albums — is back with its latest masterly work, Surreal. The 14-track album harks back to the musical boldness that helped define the band during its reign over the jazz world. Released about two years since the group's last album, Surreal is sure to be a hit among jazz admirers and lifelong Incognito fans alike. 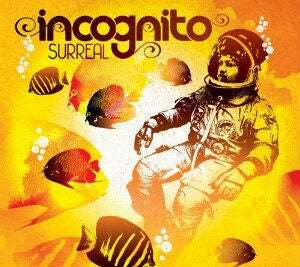 Incognito's Surreal is now available. Previous recommendation: Annual Conference Celebrates Black Writers.